The feast of lovers is coming soon as well as the dilemma of what gift you should choose for your loved one for Valentine’s Day. How about expressing your love with a surprise that does not make you blame yourself for how many calories you ate?! It is the right time for a change this year. Prepare your partner an unforgettable evening with a gift from our goldsmiths. Valentine’s Day is the perfect occasion for an unusual moment for two of you. Wrap your glittering gift not only in a nice box but also in the atmosphere of a romantic evening. Ask your partner out for dinner to your favourite restaurant or prepare a Valentine menu yourself at home with loads of candles. It is also very romantic to go for an evening walk through the city or to a place where you got to know each other. Enjoy the evening first and then give your partner the Valentine’s gift as a final surprise in order to keep on impressing her till the end of the evening. Symbols of love and St. Valentine’s day are very closely related to each other. The most well-known sign of love is definitely a heart. Because love has many forms, we have combined hearts with several other symbols of love as well. 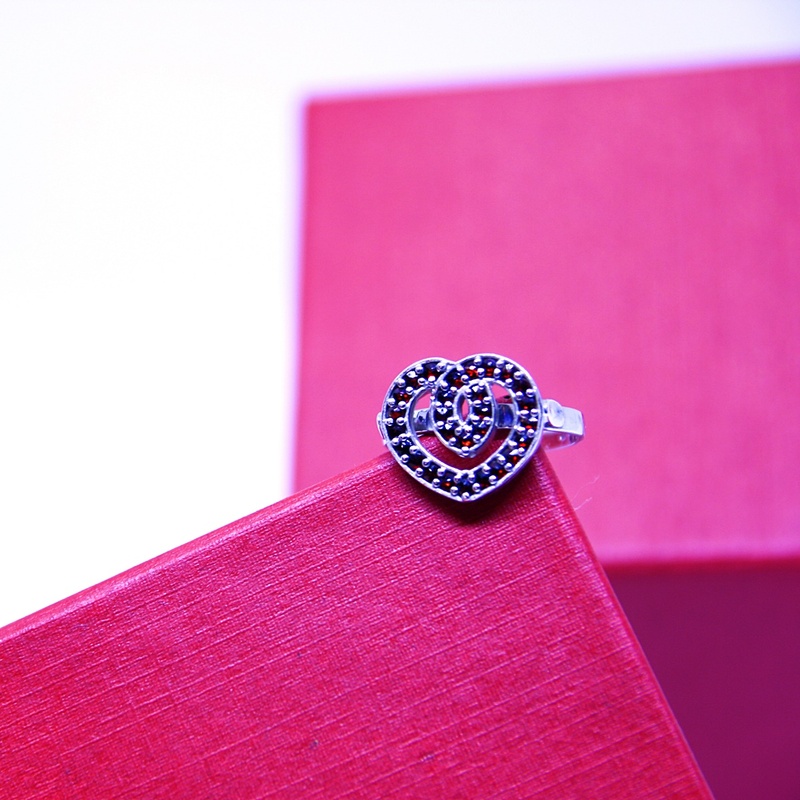 The result is a unique Valentine jewel from our garnet collection. The red colour of Czech garnets symbolizes passion and the ring itself represents infinity. It is up to you, whether you consider this golden designer jewel as a luxury gift for Valentine’s Day or as an engagement ring. Learn more about how to choose the right ring size or read some inspiring tips for the most romantic engagement. 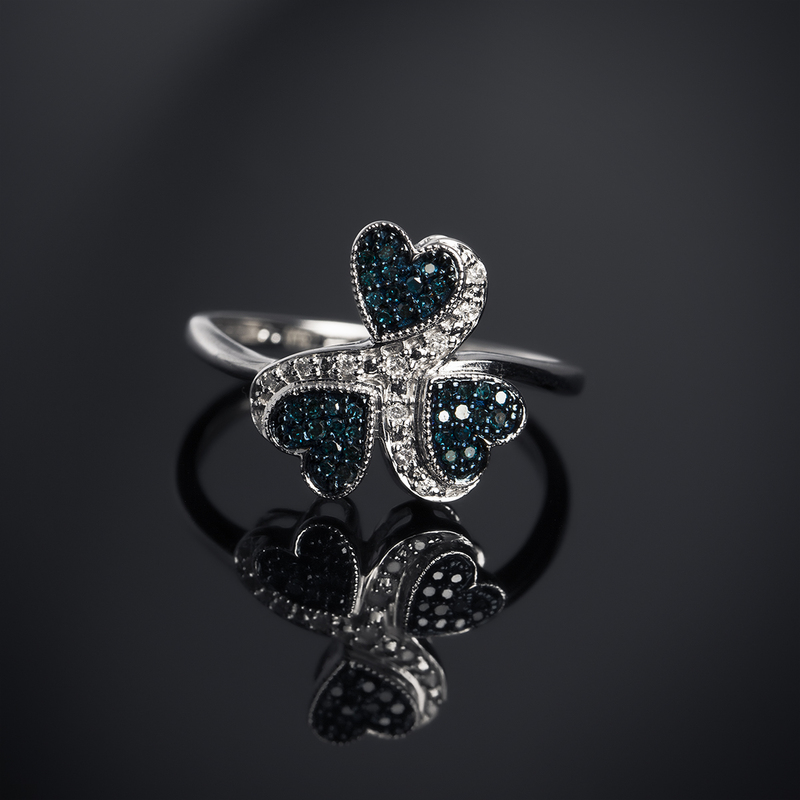 The three hearts decorated with blue and white diamonds adorn the other Valentine jewelry we have designed for your great moment. The original white gold ring as a Valentine’s Day gift will make one happy even demanding lovers of jewelry. Thank her for the years spent by your side with the most precious gems or do you combine the three glittering hearts with a question that turns her into your fiancé? In Prague Garnet Center there are plenty of other unique jewels available. 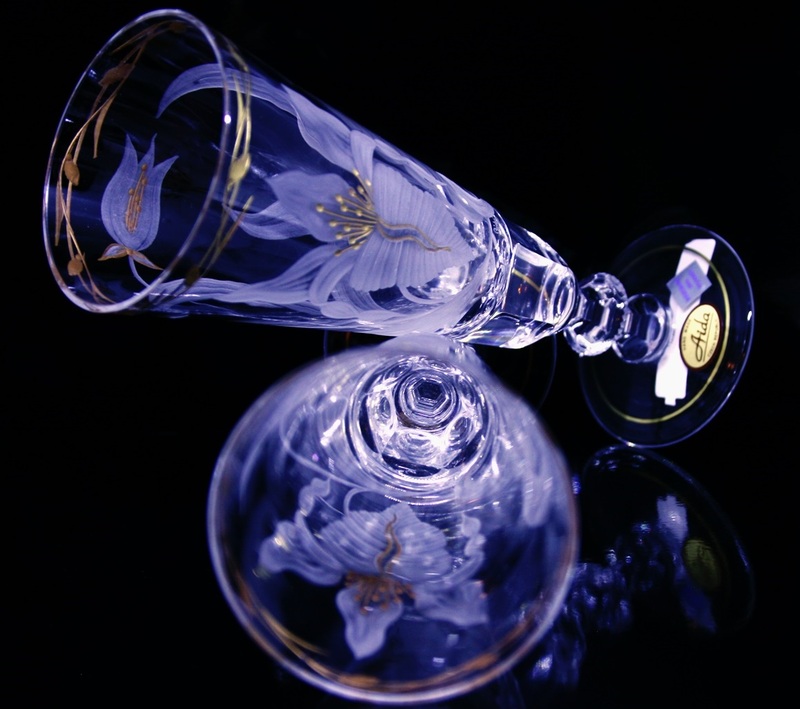 Come and choose your luxurious Valentine´s gift!